A stone block from the Paikuli tower. 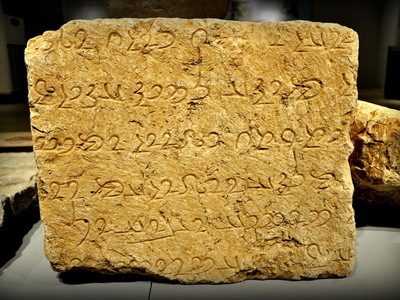 The middle Persian language was used on this stone block. The tower lies on hill near modern-day Barkal village, south-east of the city of Sulaymaniayh. The tower was built by the Sassanian king Narseh (Narses) in 293 CE to commemorate his victory and rise to power after defeating his nephew ( Wahram III) .